Abstract: A simplified method is outlined of applying Stokes Fifth Order Gravity Wave theory as expressed by Skjelbreia and Hendrickson. This permits relatively easy calculation of the characteristics necessary to evaluate the wave profile and particle velocities and accelerations for specified conditions. Abstract: On 28 April 1986, the joint Aero–Marine Committee of the Royal Aeronautical Society/Institute of Naval Architects/Society for Underwater Technology arranged a half–day symposium on the use of reliability techniques to improve structural efficiency. the aim of the symposium was the exchange of knowledge between the aeronautical and marine fields. In all, five papers were presented, three with an aeronautical basis and two related to offshore structures. One conclusion of the symposium was that the marine engineers are more advanced in the application of reliability techniques than their aeronautical colleagues, at least in the UK. Synopses of the three aeronautical contributions follow, together with edited versions of the two marine–based papers. Abstract: Offshore structures are generally designed using a deterministic approach, and ‘engineering judgement’ based on previous experience is employed when uncertainties in design parameters are encountered. However, it is becoming increasingly important to adopt a more scientific approach, particularly where novel design or design procedures are involved. Reliability engineering has the potential to provide the designer with a powerful tool to produce safe and cost–effective structures, although designers are not yet in a position to fully exploit the technique. Abstract: In many respects, the position of the reliability analyst is a difficult one, since the reliability of an offshore structure, or indeed any other complex system, depends on the behaviour of many components and sub–systems: on such quantifies as the peak magnitudes of the many loads and their occurrence in time, and on the skills of a wide range of people. For the assessment of this reliability, detailed knowledge of all the various related fields which in practice have some bearing on safety and reliability is required, but at the same time the analyst should be sufficiently expert in his own field. However, it is only by using a reliability approach that questions of loading, materials specification, design, inspection and control can be treated in an integrated and rational way. In this paper an attempt is made to review some of the key areas of structural reliability theory, to note some of the recent developments to examine the use that has already been made of the reliability approach in offshore engineering, to assess the possibilities for future use and finally to discuss those areas where more development work is still needed. 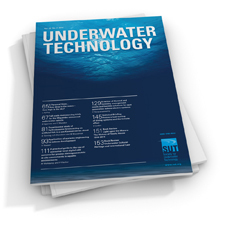 Abstract: Pit–roll–heave buoys are in routine use for collecting directional wave data. They measure pitch and roll angles relative to the buoy, the buoy heading, and heave acceleration. In many cases the heave acceleration is integrated twice electronically on board the buoy to give heave displacement before recording or transmitting the data. This has several practical advantages, mainly related to the fact that wave–height related parameters are the most critical for engineering use. However, the electronic integrator in the commonly used Hippy sensors (manufactured by Datawell in the Netherlands) produces a phase advance relative to true double integration of approximately 30° for a wave of 10s period. Unless these phases are corrected, they introduce systematic errors into the estimated amplitude of the first angular harmonic and into directional parameters derived from it, as calculated by the conventional formulae, and also into some parameters used to check buoy performance (but not the Check Ratio). the noise levels of all directional parameters are probably also increased. The amplitude errors introduced by the integrator are less serious, but should be corrected for precise work: this is straightforward and will not be considered further here. The “Direc” receiver and processor manufactured by Datawell for use with their Hippy sensors performs the corrections, but is not used in all the systems which incorporate a Hippy sensor. Abstract: There is an established technology of offshore drilling and production in Arctic areas where the water is shallow or the ice is landfast. Promising areas for exploration have deep water and constantly–moving ice, and there the existing techniques are not applicable. One alternative approach is to set the whole system on the sea bed, and to supply it by submarines: that is technically feasible, but would demand an extensive development, which the economics are unlikely to justify. the paper puts forward a less radical ‘hybrid’ scheme: the drilling system is on the bottom, but it receives power, control, supplies and maintenance from an icebreaking surface ship, through a flexible riser–umbilical. Abstract: A review has been made of the current and future research requirements relating to the design of the foundations of offshore structures. In this context the term ‘research’ is used widely to cover position papers, literature reviews and the establishment of data bases as well as the performance of field tests, laboratory experiments and analytical studies. Topics are classified according to priority; alpha being essential and urgent, beta being essential, gamma being necessary in the longer term. A number of prerequisites are identified if research results are to be quickly applied by industry. Abstract: This paper reviews the problems likely to be encountered by ships and semi–submersibles if call upon to work in ice–covered or ice–infested waters. Operations recently undertaken in the Beaufort Sea are considered, though with the prospective renewal of the Antarctic Treaty in 1991 other locations and opportunities should not be overlooked. The effects upon stability, structure, propulsion and the design of the bow are examined as well as the measures required to protect the working man and the polar environment. Abstract: This report begins with a consideration of the scope of the topic, followed by a statement of the main objective. Because the subject is so vast, a generalised methodology had to be developed which was implemented in relation to one representative sector, that concerning hydrocarbon resources, because of the amount of information available on it for analysis. A worked example on surface support for seabed survey was then used to verify the approach. 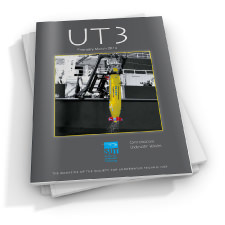 The main conclusions drawn are: first that the effectiveness of the surface support available has a crucial influence on all subsea operations but it is essential to consider the subject as a complete entity; and secondly that, on the basis of today’s prices and certain selected assumptions, the estimated size of the market inherent in surface support activities in 20 years time will be between £44 billion and £168 billion per year. Abstract: Much of the initial development of hydrocarbon resources in the North Sea was carried out with minimal information about conditions in the marine environment. Since then, considerable progress has been made by scientists, engineers and instrument designers in meeting industry’s requirements for more measurements, and for a greater understanding of processes going on in continental shelf seas. With the declaration of national Exclusive Economic Zones covering sea area out to 200 miles from the coast, the scene is set for a repeat performance but on a much larger scale and with much greater challenges for applied oceanographers. Knowledge of environmental conditions is of major importance to any form of exploitation of marine resources, and the requirements for measurement and interpretation provide Britain with a chance to make use of its innovative capabilities. In the short to medium term, opportunities exist for the provision of measurement equipment and services, but the information which these will yield could in the longer term open up a much larger and more lucrative market in ocean engineering. This was the reasoning behind the commissioning by the Department of Trade and Industry of the feasibility study described here. 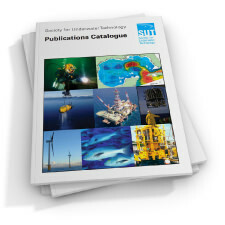 Although the primary objective was to look at the requirements of future industries which will exploit novel resources such as ocean floor mineral deposits and ocean thermal energy conversion (OTEC), we recognised the need to identify more immediate market opportunities for British companies concerned with marine environmental measurement. Our study therefore covered pollution monitoring, coastal engineering and, to a limited extent, fisheries aspects as well. (a) Scientific exploration; (b) Commercial exploration and exploitation of the ocean’s resources (except for hydrocarbons); (c) Support for oil and gas operations in deep water; (d) Leisure and recreation; (e) Marine salvage; (f) Cable and flowline repair; (g) Submarine rescue. Manned subsea support for the hydrocarbon industry is specifically excluded, except for the possibility of intervention in deep water, but a short statement on commercial diving is included. The study investigated the use of one–atmosphere vehicles, and the sub–systems required to support and equip them. Abstract: This study, one of five commissioned by the Department of Trade and Industry under the Resources from the Sea Programme, had the broad based objectives of, first, evaluating a wide range of novel marine resources and the technologies which would be required to be developed for their exploitation, and then to relate these technologies to the potential for generating markets for United Kingdom industry in the near to mid term. The novel resources selected were examined from the point of view of their relative economic significance. Such factors as total resource, exploitability and the future timeframe within which their exploitation might be expected to occur were covered. The study was concerned with resources worldwide since the ultimate objective was to recommend where UK industry should endeavour to obtain a worthwhile market share of technology based products and services for the exploitation of these resources, wherever they may be found. The examination of the UK situation therefore required a review of the present and potential competence of UK industry in the principal product and service areas concerned, relevant research programmes and likely future foreign competition. The study was undertaken by General Technology Systems Ltd, leading a multidisciplinary team which included Yard Ltd, Technica Ltd, the University of Newcastle–upon–Tyne and Kingston Polytechnic. The novel resources selected for examination were: (i) Oil and gas resources in deeper waters than current operations, and in ice affected areas; (ii) Seabed mineral deposits in deep water; (iii) Minerals in sea water; (iv) Deep buried coal and mineral deposits under the continental shelves; (v) Alternative energy sources derived off–shore, including wind, wave, tidal, thermal gradient and salinity gradient energy; (vi) Currently unexploited natural bio–resources; (vii) Food and other products of mariculture. The examination of these resources and the technology requirements for their exploitation led to a recommended selection of the most promising areas for concentration of effort by the UK for market orientated development. Recommendations on appropriate development strategies were also put forward. Abstract: This study was one of five commissioned by the Department of Trade and Industry (DTI) under its Resources from the Sea Programme and is aimed at providing guidance both to UK industry in developing proposals for projects to be supported by the DTI and to the Department itself in appraising such projects. the study excluded oil and gas exploration addressing other potential mineral and non–fin fish biological resources both on and off the Continental Shelf. In line with the overall remit of the study, the approach was initially to assess potential markets and resources and then define survey requirements and review available technologies. Abstract: On the basis of a general linear hydroelasticity theory (Refs 1–3), the wave load responses (i.e. displacements, distortions, bending moment, torsion moment, etc.) excited at arbitrary positions within a flexible Small Waterplane Area Twin Hull (SWATH) vessel travelling in unidirectional irregular waves are discussed. The influence of seaway description on the responses is investigated with reference to design procedures. Abstract: Downtime assessment or similar operational modelling of offshore systems often requires use of data on weather severity in time history format. Since the supply of such data is limited, approximate ways for deriving simulations from more readily available information are needed. In some cases the requirements can be met by use of data known as persistence statistics. these present relevant time history information in terms of probability distributions of weather duration above or below given levels and, as shown for example in Ref 1, can be estimated from commonly available forms of data. Such persistence statistics do not meet all modelling requirement however and there is still a demand for methods of simulating realistic data in the time domain. One such method is described in Ref 2, but this is based on use of a statistical modelling procedure which requires some input of time history data for the area concerned for determining relevant coefficient values. An alternative approach considered here has the important advantage that it uses readily available data, and does not require any time–domain input. It is based on translation into time–history format of conventional persistence data which in turn can be derived by the methods of Ref 1 from conventional probability distributions for the parameter concerned. This means in particular that the method can be applied to output from the NMIMET wave climate program, which (see Refs 3 and 4) can provide relevant data for most sea areas of the world. The method is very simple in concept and the resulting time histories have the property that they are identically compatible with the given persistence data and, according to Ref 1, should thus also be compatible with the corresponding cumulative probability distribution from which these can be derived. This article considers the application of this approach primarily to simulation of wave height histories, but it is noted that it can also be applied to histories of wind speed. An explanation is first given of the basic concepts, illustrated by a highly simplified numerical example. The broader context of downtime modelling in which the wave height simulation is used is described in Section 4 which also describes the main features of a computer program, BMTWASP, written to handle the simulation. This is followed by some illustrative sample results including demonstration of its application to output from the NMIMET wave climate program. 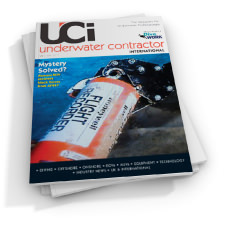 Abstract: During the past few decades, there has been an increasing demand for electrical cables to be installed in underwater environments. Although some cables are laid in one unbroken length, passing through the water from one dry location to another, the majority carry signals or energy to and from equipment located at various water depths. Invariably, all such equipment requires a suitable method of termination. Not only must this exclude water from the electrical conductors, it must also ensure no water is allowed into the body of the equipment. Generally, the method of terminating cables to equipment falls into four distinct categories: pressure barrier penetrators, inductive couplers, capacitive connectors and conductive couplers; the latter of these generally being referred to as connectors. While the purpose of this article is primarily to concentrate on conductive couplers, a brief summary of the alternative methods will illustrate their relative strengths and weaknesses. 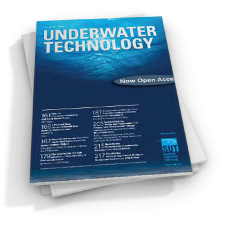 Abstract: Most of the following titles have at least a loose connection with diving technology. Those biased towards medical, physiological and biological aspects of diving are included because these topics are in general closely associated with safety, which is of paramount importance in modern commercial and scientific diving practice. The list is not intended to be complete but it represents a good selection for anyone wanting to study the subject. Abstract: Despite the recent collapse in oil prices, hydrocarbon deposits in the North Sea remain the United Kingdom’s most commercially attractive marine resource. For this reason I have restricted the scope of this essay to research which increases the opportunities for economic use of the UK hydrocarbon resources. With oil job losses looking set to rise to as high as 32,700 by early 1988, there are more practical reasons for concentrating on this area. Other marine resources such as mineral deposits, fish stocks and renewable energy are not dealt with here; no doubt in the future they will come to play an increasingly important role in the exploitation of the UK marine resources. This essay is split into two parts. The first part addresses the title directly and lists research projects which will increase the opportunities for economic use of the UK’s hydrocarbon resources. These projects have been selected by the various organisations involved in formulating offshore research strategy. The second part goes on to examine the more important factors responsible for shaping this strategy.